great service , thanks fibermart team. Good Package, great service ! 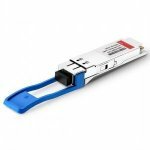 40G/100G Transceivers include QSFP+, CFP, and CXP transceivers etc. Generally, QSFP+ has a transfer rate of 40 Gbps, while CFP has a transfer rate of 40 Gbps or 100 Gbps. CXP is dedicated usually for 100G transmission and has a transfer rate of 100 Gbps. Fiber-Mart manufactures and supplies Customized 40G/100G transceiver modules to offer versatile 40G & 100G connectivity options in core and distribution layers of data centers, enterprises, and service provider networks etc. In addition, we also provide Compatible 40G/100G transceiver modules as alternatives to those branded by Cisco, HP, Juniper Networks etc. All of our 40G/100G transceiver modules come with a lifetime advance replacement warranty and are 100% functionally tested.